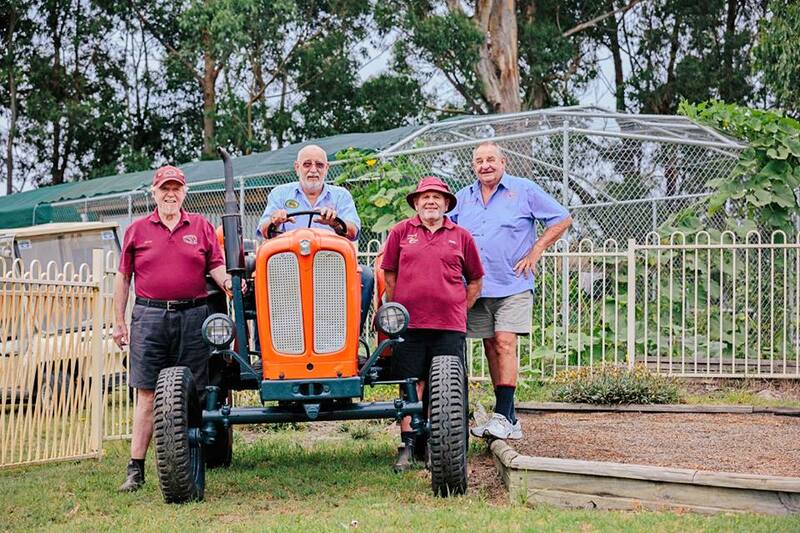 St. Peters Fiat donation - Moruya Antique Tractor & Machinery Assoc. Inc.
to St Peters Anglican College, Broulee. 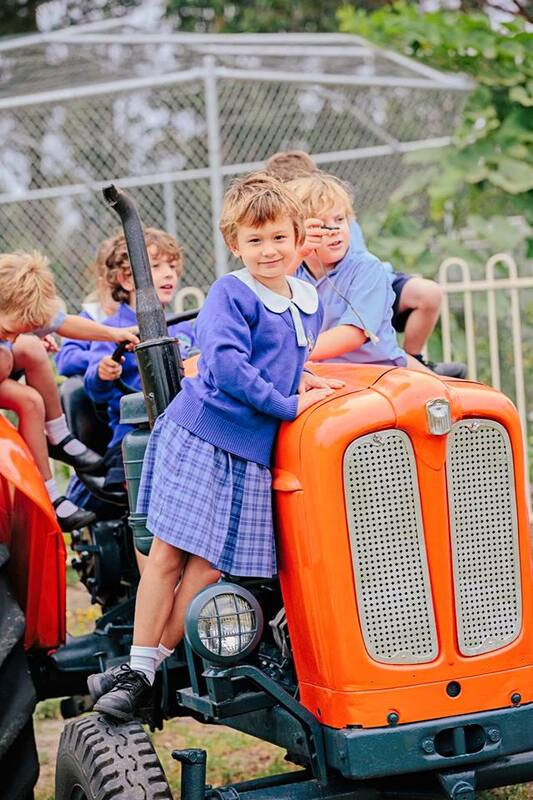 asking for a tractor as a climbing aid for their playground. in order for the club members to get it into a condition suitable for the intended purpose. Differing from our previous school donation, this time the chaps went all out and painted the tractor before delivering it to the school. Our club Secretary Barry Hickson , President Steve Shields, Mark Waterworth and Alick Trounsen posing with the Fiat on the day it was delivered. And this photo indicates just what it was all about and that the work involved was well worth it. Happy Children with the new "thing" in their playground. Lets hope that there will be many generations of children enjoying it in the years to come.